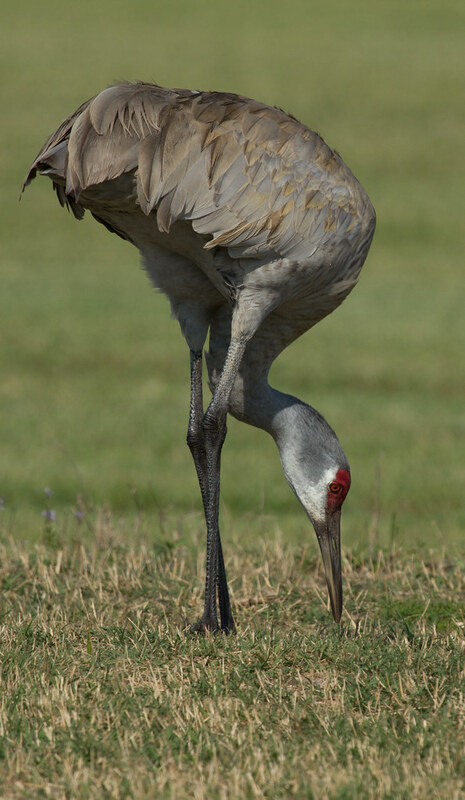 This conservation success story has become much more common thanks to the efforts of conservationists led in large part by the International Crane Foundation. Sandhill Cranes mate for life, pairs remaining together year-round. The one or two chicks hatched each year remain with their parents through the winter.